When you're considering a large new kitchen renovation, the backsplash is a smart focal point that reflects your overall kitchen finishes and style. 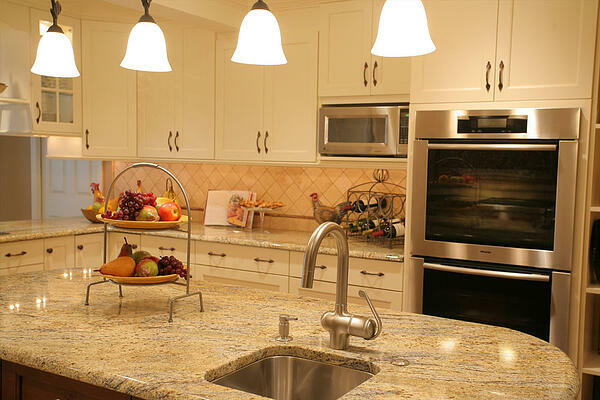 In a kitchen remodel, the backsplash ties together your entire kitchen design. 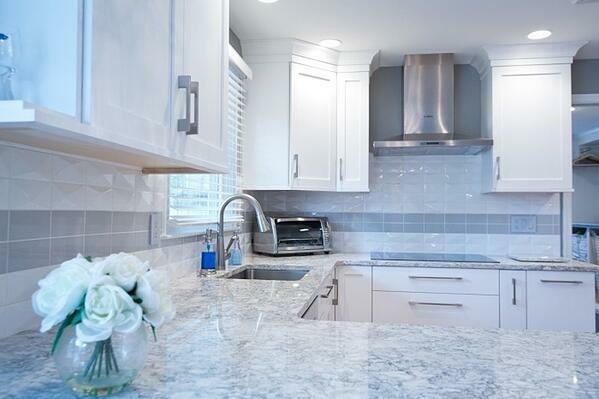 Though there has been a strong trend towards plain glass or ceramic subway tile backsplashes the past several years, that doesn't mean you need to stick to that trend, especially if it doesn't coordinate well with your kitchen countertop and kitchen tile. 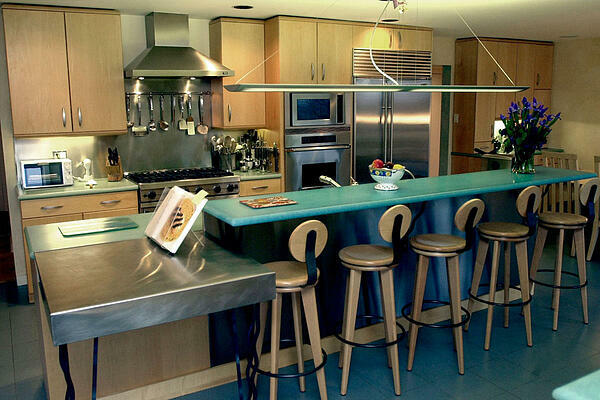 Here's a quick look at new trends you should consider when creating a timeless kitchen design for your home. 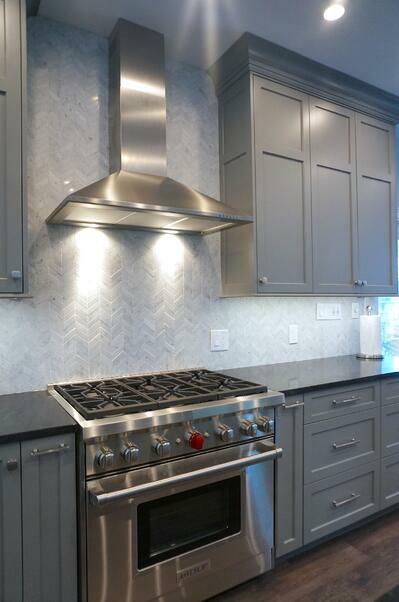 In Cecelia, we took the time to lay out a herringbone pattern with long, rectangular tiles, which created a great texture and added a lot of interest to the backsplash without making the appearance too busy or overwhelming. 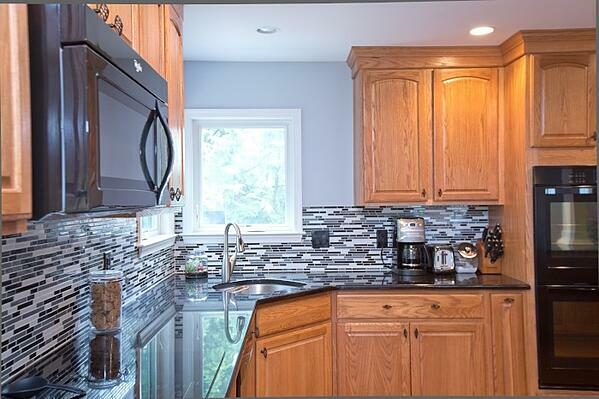 Paired with the grey, painted cabinets, stainless steel appliances and dark countertops, the tile created a soft, feathery appearance that soothed the senses. In the Green Valley kitchen, we worked with the owner to find a unique tile shape for the backsplash that would be fresh and modern. 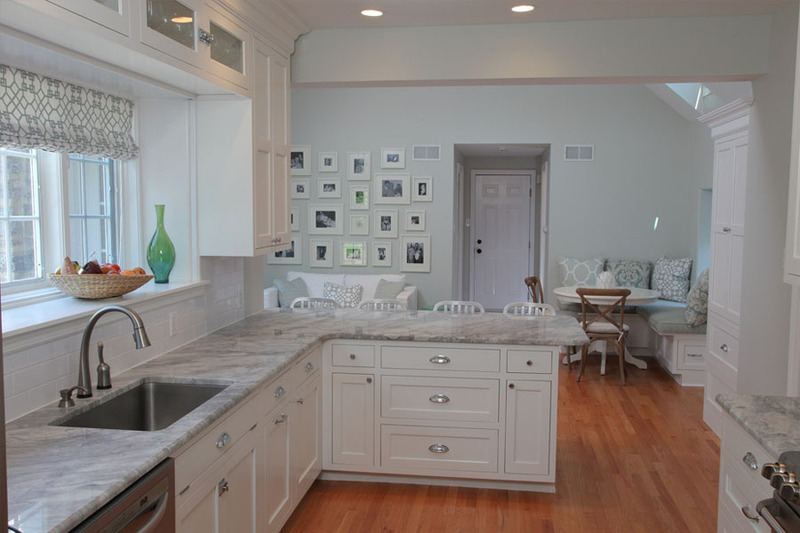 The 3D tile complements the modern lines of the cabinets and range hood, while adding depth to a mostly white color palette. When you want your kitchen backsplash to be a focal point of your kitchen design rather than simply blending in to the background, mosaic and glass tiles provide a great backdrop to heat things up. In the Petty kitchen, the range of tones in the backsplash draws the eye in while setting off the cabinets, pendant lights and dark countertops beautifully. If you like the pattern of subway tiles but are tired of the same basic colors and want to add some flavor to your kitchen's backsplash, using subway tiles out of different materials helps create a completely different appearance. 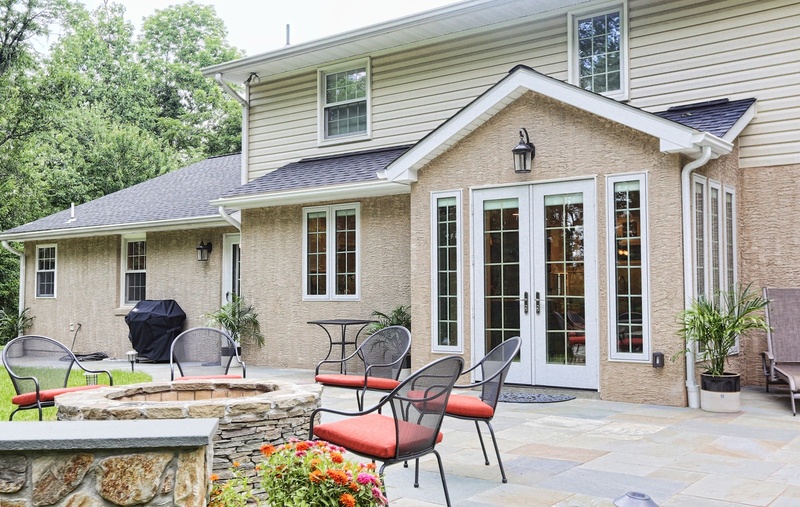 Instead of the same sterile appearance, the Bryant kitchen sports a wide range of natural stone colors and matte finishes for a beautiful look. 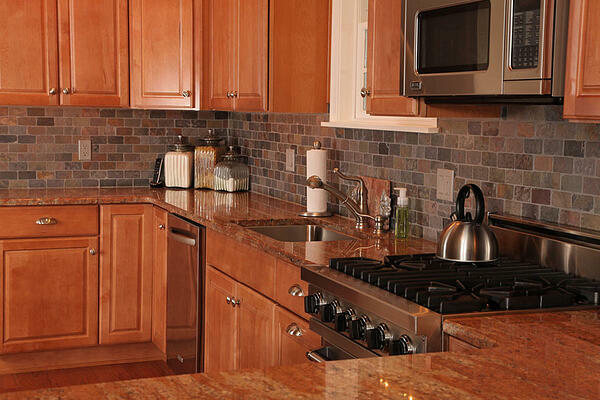 Sometimes the difference between an ordinary backsplash and an extraordinary one is simply turning a tile. When the Ormandy kitchen was designed, it was decided to take otherwise simple tiles and place them on edge to create a unique design that draws interest without breaking the bank. This simple shift does a great job to help combine modern elements in the kitchen, such as the strong lines of the stainless steel appliances, with more traditional motifs, such as the traditional frame cabinets and stone countertops. 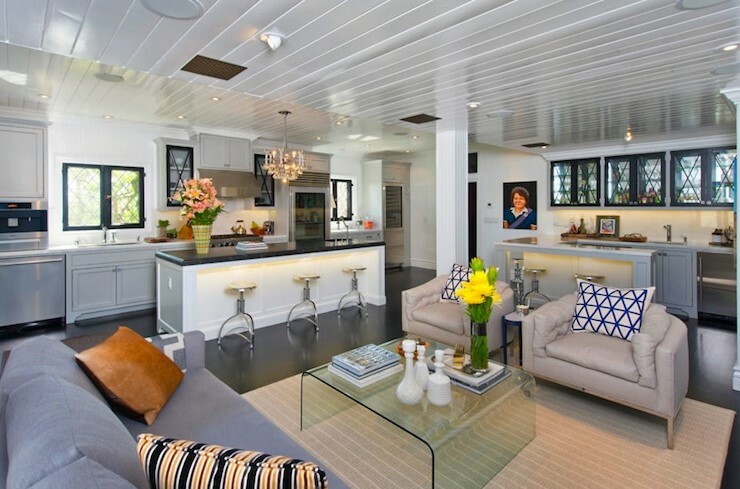 If your home demands clean, modern lines the way that the Windy Bush kitchen did, nothing delivers that feeling in a backsplash quite as well as stainless steel or other metal sheeting. No grout lines make cleanup a breeze while reflecting light throughout the room. If you want to work a metal backsplash into a more traditional setting, consider looking at tin ceiling tiles to add a dash of color and light without destroying the historic lines of your kitchen's interior design. By taking the time to consider alternatives to typical subway tiles, you can create a backsplash that compliments your kitchen design, whether through setting it off as a focal point or as a simple smooth transition from your cabinets to your kitchen countertop. If you're still looking for ideas, why not see what's available in our kitchen portfolio to get a little more inspiration? 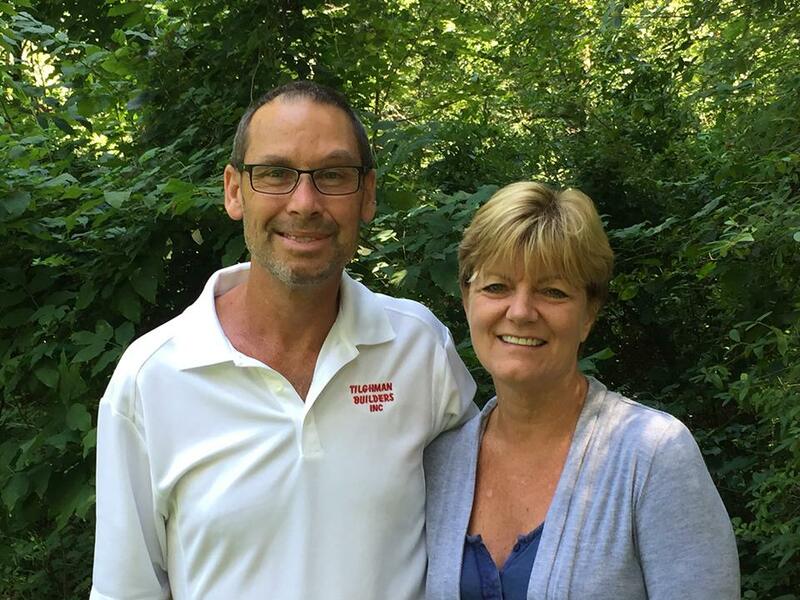 When you're ready to talk design and build, Tilghman Builders is ready to help, just contact us today.